As you may have noticed I haven't posted much last week, we either ate out or for some reason or another I found a reason not to make dinner. 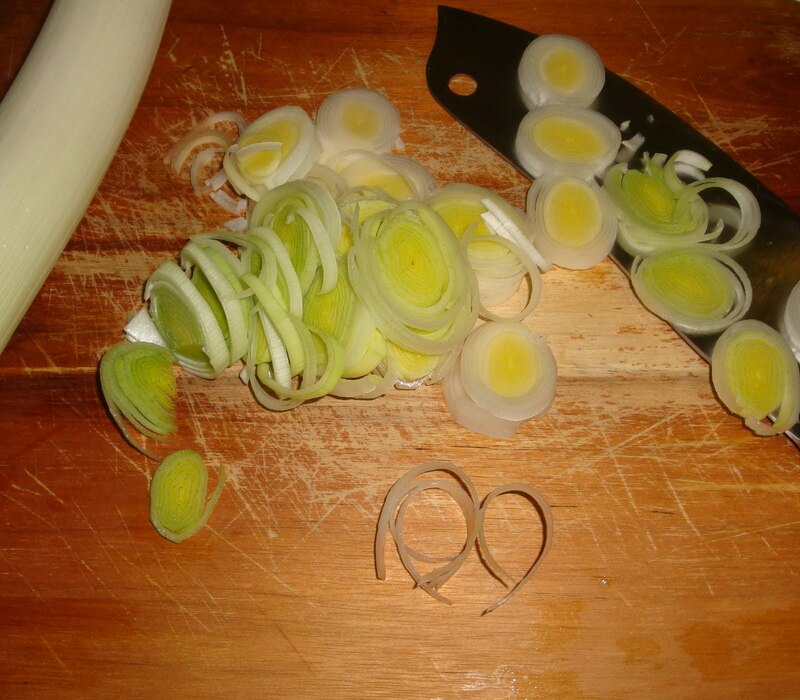 Well last night I made a pasta dish and as I was finely slicing the leeks I go so happy at the perfect paper thin little white and green circles that I was able to produce without the assistance of my mandolin that I literally wanted to cry (and not because leeks are the softy of the onion family). It reminded me why I love food and cooking so much. I knew that in ten minutes these hard and squeaky white circles would produce the most delicate sweet flavour and even though I have never made this dish before, I knew that any recipe that called for 2 leeks thinly sliced and cooked down into the delicate soft rings that they become would be a winner. 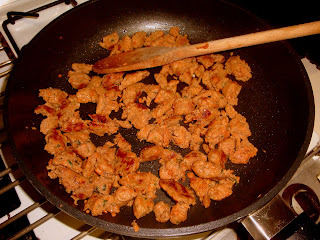 I used low fat Italian chicken sausages in the recipe but you could really use any Italian sausage. 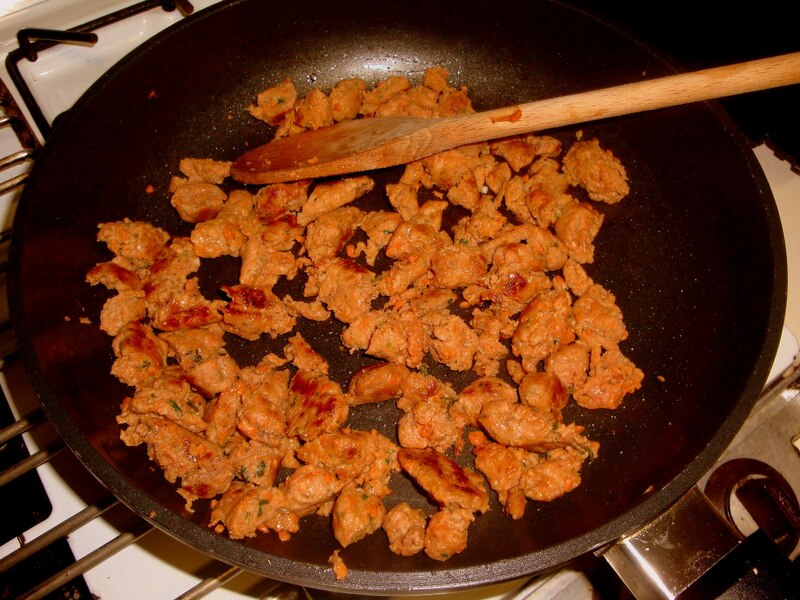 You take the skin of the sausage and crumble it into a non stick fry pan and cook for about 10 minutes until lightly browned. Then you add the leeks with a tiny bit of chicken stock. 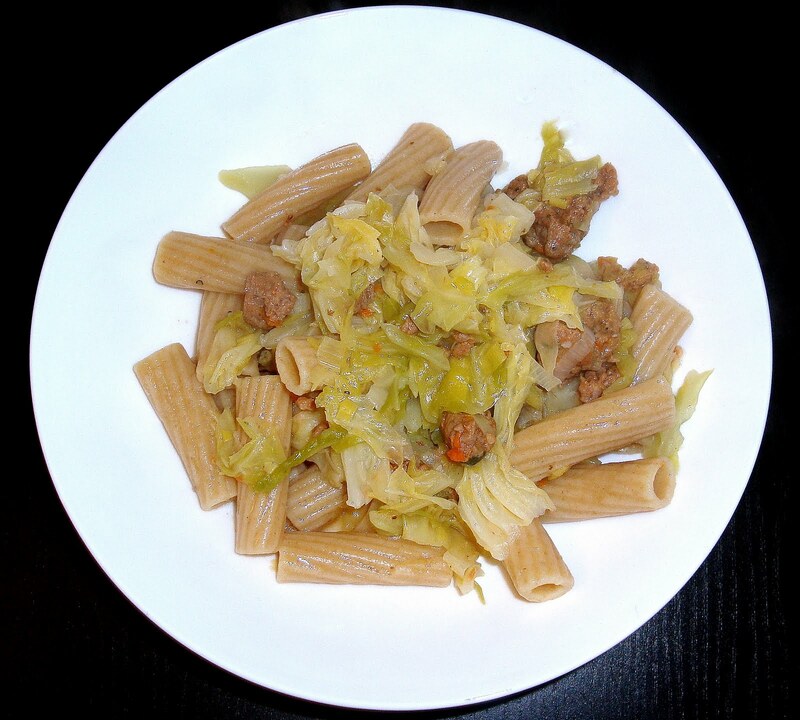 Mix together and cook until the leeks become soft. This will take about 5 minutes. 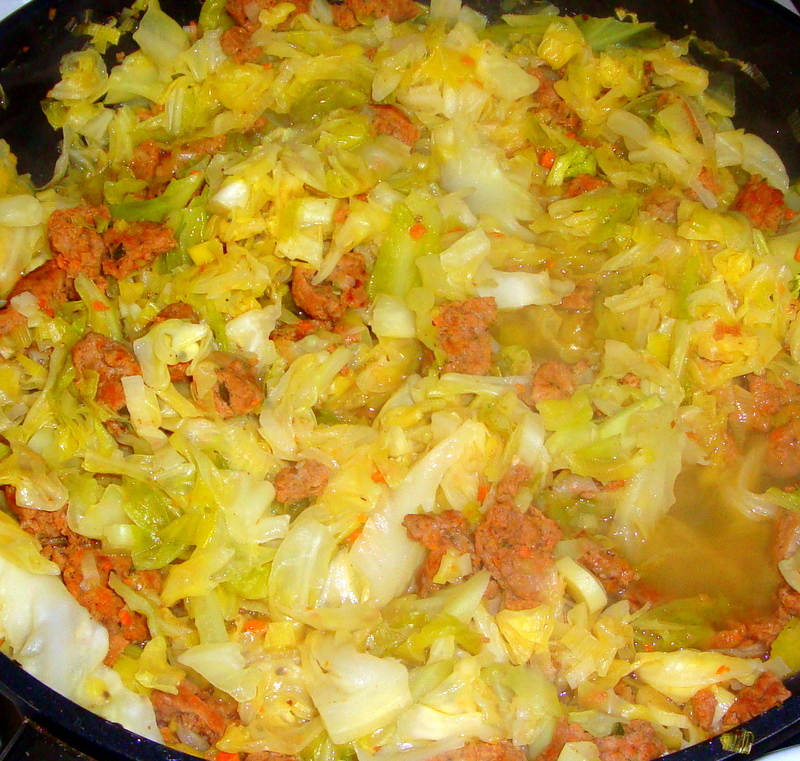 Add about half the cabbage on the top and as it wilts mix through and add the rest of the cabbage. Once all the cabbage is in the pan add the chicken stock, season and cook until all the vegetables are completely soft. If I lived alone and had no one who judged my I would eat this straight out of the pan with a big crusty sourdough baguette and then lick the pan with all the juices! But needless to say at this stage I cooked my pasta and then mixed it all in together with the sauce and cooked for another 60 seconds before serving. This is so completely my kind of meal, if I wasn’t doing something different every night I would seriously eat this at least once a week. 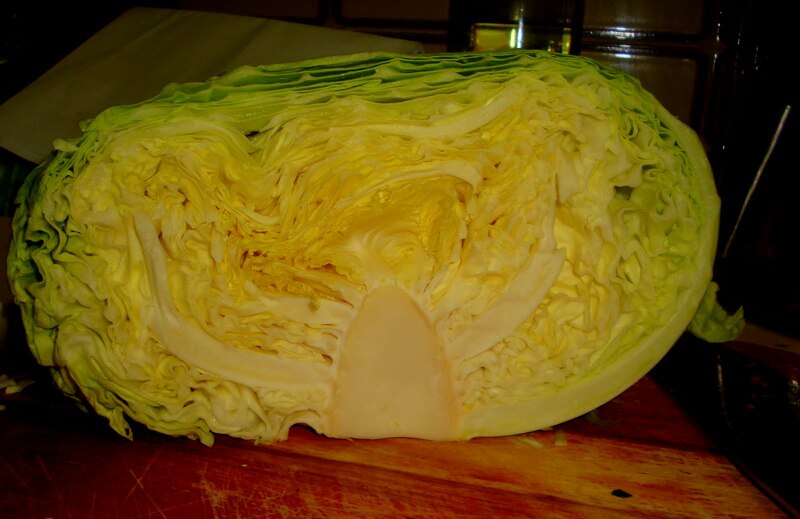 Then whatever is left the next day…. 1. Ingredients are listed after the method. 3. There is a whiff of sentimentality here. ... or was it 'italian sausage, rigatoni and a bottle of wine' dinner? I am very impressed that you noticed all the subtle changes of format. I am getting my blog ready for my new camera and all the photo's that I will now be incorporating!